KUALA LUMPUR, Malaysia, Sept. 20, 2017 /PRNewswire/ -- Sunway Hotels & Resorts, the hospitality division of leading Malaysian conglomerate, Sunway Group, announced today the opening of its latest hotel project, the 351-room Sunway Velocity Hotel. This mid-market hotel is the only transit-oriented development (TOD), the largest and the only integrated hotel within the Cheras, Kuala Lumpur vicinity, bringing new vibrancy, energy and excitement into the area. The 16-storey hotel is strategically located at the crossroads of Jalan Peel and Jalan Cheras, minutes away from Kuala Lumpur city centre and set within the vibrant transit-oriented 23-acre integrated development of Sunway Velocity Kuala Lumpur. This development, mirroring the success of the thriving 800-acre Sunway City Kuala Lumpur, bears similar synergistic additions such as the premier shopping, dining and entertainment at Sunway Velocity Mall with over 500 retail outlets, the office towers, serviced residences, an upcoming medical centre and a sprawling two-acre central park, all within the 4-billion Ringgit Malaysia (RM) development. 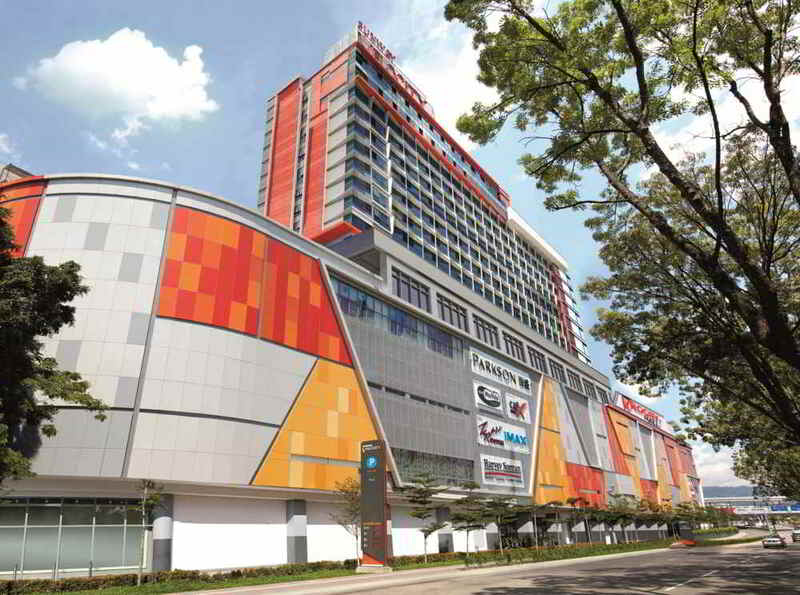 "The opening of Sunway Velocity Hotel further strengthen Sunway Hospitality division's strategic footprint in the Greater Kuala Lumpur market; bringing a total of five distinct hotels with 2,434 rooms, all of which are located within the mixed-use integrated development," said Albert Cheong, CEO & Group General Manager of Sunway Hotels & Resorts. "Sunway Velocity Hotel opening is set to cater to the region's robust business exchange, and corporate travel and leisure tourist markets seeking for mid-market accommodation in Kuala Lumpur." Sunway Velocity Hotel features 351 guestrooms; all equipped with the essential conveniences, comfortable features and amenities such as complimentary Wi-Fi and wired broadband internet access, LED Smart TV, electronic safe, mini fridge and coffee and tea making facilities. Other facilities include a boardroom, a 24-hour fitness centre, an outdoor infinity swimming pool and an express cafe which serves light snacks and refreshments for dine-in and take-away. The Hotel is well connected to the city's public transportation network with direct links to the Light Rapid Transit (LRT) and two underground Mass Rapid Transit (MRT) stations, Maluri and Cochrane. Through the MRT, guests will have easy access to the Bukit Bintang shopping district, KL Sentral as well as other attractions nearby. Sunway Velocity Hotel is offering special introductory room rates, starting from RM198.00++ per room per night; valid for stays from 20 September 2017. Room rates are quoted in Ringgit Malaysia (RM) and subject to 10% service charge and prevailing Goods and Services Tax (GST).